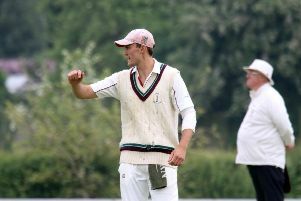 Joe Thomas took eight wickets as Great & Little Tew finally got back to winning ways in the Home Counties Premier Cricket League. Harry Smith’s side beat Amersham by 25 runs in Saturday’s low scoring division two fixture. 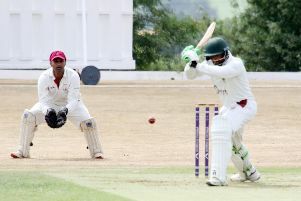 Tew looked to be heading for another defeat after they were shot out for only 79 runs but Amersham then collapsed as Thomas ripped through their batting line-up. Having been inserted, Tew were soon in trouble when Robbie Catling was bowled by Stuart Rogers with just two runs on the board. Smith soon followed after hitting 13 runs off 29 balls, including three boundaries, before Tim Wyatt offered some resistance, making 28 runs off 58 balls with four boundaries and a six when he was trapped lbw by Sam Helm. But Maduka Liyanapathiranage and Helm ran through the remaining Tew batsmen to dismiss the visitors for just 79 runs in the 29th over with only Ollie Price 11 making double figures. Liyanapathiranage took 3-40 and Helm finished with 6-20. In reply, Amersham made an even worse start with the top four batsmen all going with only 16 runs on the board. Only Bruce Friderichs made double figures as Thomas enjoyed a purple spell with the ball. Thomas and Robbie Shurmer ran through the Amersham innings to dismiss the hosts in the 21st over with only Luke Jackson making double figures. Thomas finished with an impressive 8-20 and Shurmer took 2-33.